& Engraving Wood Laser cutters for mdf, plywood, alder, cherry, and other wood types! Why are woodworkers increasingly adding a laser engraving machine from Epilog to their workspace? It's because the versatility of the laser can't be matched for woodworking projects. Wood cutting and engraving are two of the most popular applications for the laser because they can encompass so many different projects. From cabinetry to photo frames to knife handles, Epilog Laser systems are used in almost every woodworking category you will run across. Whether you are working with hardwoods, veneers, inlays, mdf, plywood, walnut, alder, or cherry, you can engrave amazingly intricate images with a laser system. Please send me more information about woodworking with an Epilog Laser system. 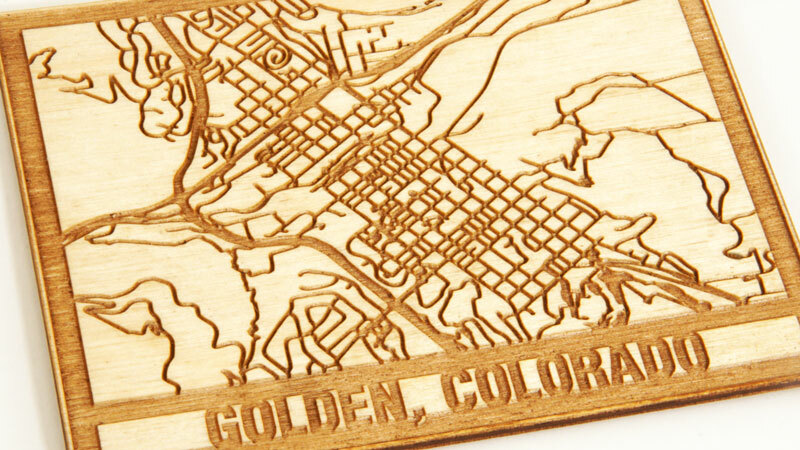 What kinds of wood can you engrave and cut with a laser? "Without my Epilog Laser system, one of my most exciting and memorable projects wouldn't have been possible." From cabinetry to photo frames to knife handles, Epilog Laser systems are used in almost every category of woodworking project. A picture is worth a thousand words, and a photo engraving is worth a thousand more! Engrave your customers' photos and memories on rich mahogany or natural pine for the perfect way to commemorate the past. By utilizing both the cutting and engraving capabilities of an Epilog Laser system, you can create beautiful inlays for cabinets, awards, guitars, and more. For those projects where you need to make things fast, a laser system can speed up your workflow dramatically. Quickly cutting materials like MDF and plywood can take you from concept to prototype in record time. Plus, since a laser lets you work with nearly any size or shape material, you can easily use those extra scraps of wood you have from that last project! 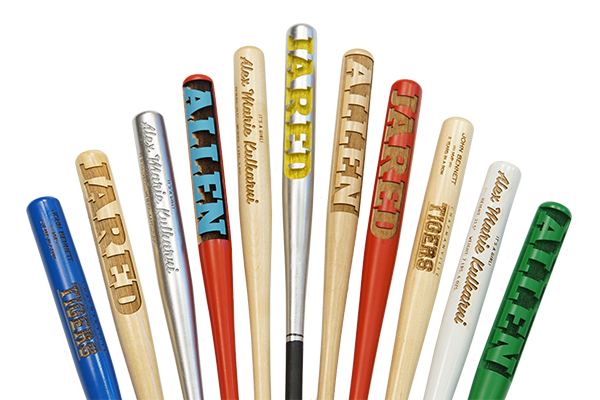 A laser system can help customize products to create unique, one-of-a-kind items that mean something greater. Personalizing awards, skateboards, phone cases, guitars, or any other object can turn a great piece into the perfect gift. 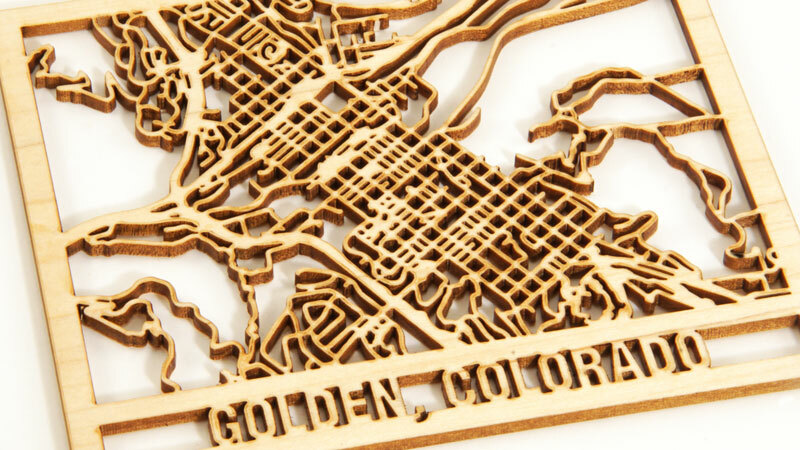 The possibilities are endless when you use an Epilog Laser for woodworking projects. Whether you're developing products, working on hobby projects, or prototyping new designs, a laser system can help you create faster and with higher quality. All it takes is a little imagination and an Epilog Laser! "Having an Epilog has allowed us to design and create products that are exceptionally unique." "Our Epilog Laser is the center of Sanaloma Laser. We wouldn’t have a business without the Epilog. It is our business!" Which machines are best for laser cutting and engraving wood? Whatever the scope of your woodworking project, Epilog Laser has a machine that will fit your needs, from entry-level systems to top-of-the line machines. The Zing 24 is one of our entry-level machines. For smaller woodworking projects requiring high-quality engraving and cutting with minimal investment, the Epilog Zing series is a great choice. Featuring our largest work area at 48" x 36" (1219 x 914 mm), the Fusion Pro 48 is our newest, top-of-the-line CO2 laser system. For woodworking projects requiring the best tool available, the Fusion Pro is the way to go. "My Epilog equipment does exactly what the company claims it can do and has absolutely met my expectations."